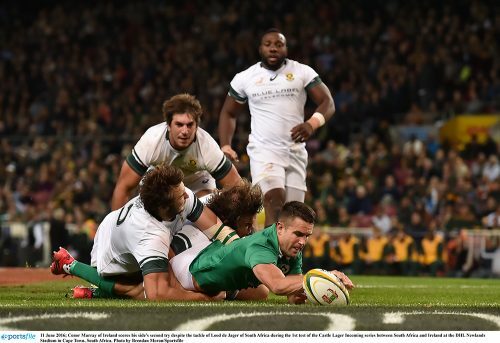 Ireland met South Africa this weekend in the first of three matches to be played in a tour of the Springboks’ hunting grounds. Their victory was especially outstanding due to them missing some serious players including Johnny Sexton and the Kearney brothers. 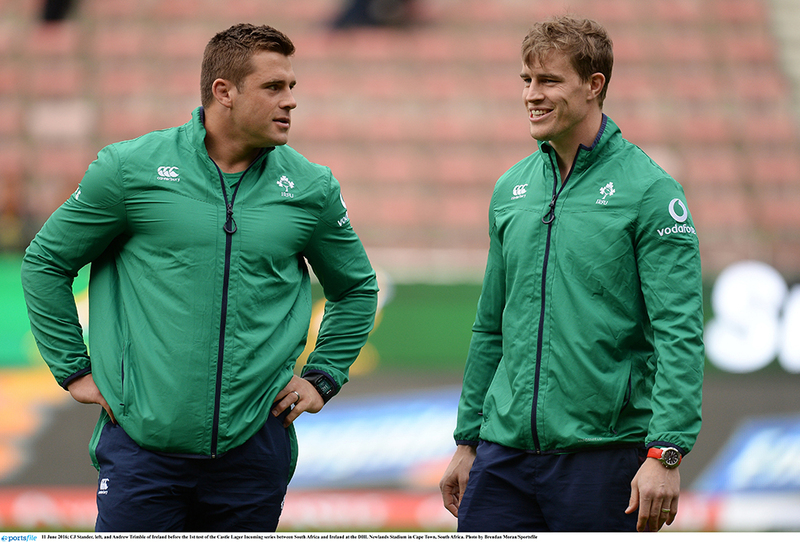 Their injury weakened side was further challenged when a red card for CJ Stander and Robbie Henshaw’s sin-binning meant they played a portion of the game with just 13 men. Paddy Jackson and Devin Toner showed character and resilience throughout and a legendary defence from Ireland kept the Springboks at bay. In the final throws, JP Pietersen rushed for a corner try, but a combination of Payne, Henshaw and Jackson forced him into touch as Ireland hung on to win. Head-to-Head: Played 22. Ireland 5 wins, 1 draw, South Africa 16 wins. Biggest Wins: Ireland _ 32-15 (, Lansdowne Road 2006). South Africa _ 38-0 (Lansdowne Road 1912). Last five meetings: (2006) Ireland 32 South Africa 15, Lansdowne Road. (2009) Ireland 15 South Africa 10, Croke Park. (2010) Ireland 21 South Africa 23, Aviva Stadium. (2012) Ireland 12 South Africa 16, Aviva Stadium. (2014) Ireland 29 South Africa 15, Aviva Stadium. Ireland captain Rory Best: “We knew to come here and get a victory would be unbelievably tough and require a massive physical performance. South Africa captain Adriaan Strauss: “We had our chances. Our discipline let us down. “It’s pretty hard to put into words really. I thought it was an incredible collective effort. The nine minutes before half-time when we were down to 13 players, to just put them out in the corner, just to scramble and work as hard as the players did to keep them out. “There was almost a direct repeat at the end of the second half again. To their attacking left-hand corner, we managed to scramble across and three for four players turned up to avoid the try being scored. SOUTH AFRICA: Willie le Roux (Cell C Sharks); JP Pietersen (Cell C Sharks), Lionel Mapoe (Emirates Lions), Damian De Allende (DHL Stormers), Lwazi Mvovo (Cell C Sharks); Pat Lambie (Cell C Sharks), Faf de Klerk (Emirates Lions); Tendai Mtawarira (Cell C Sharks), Adriaan Strauss (Vodacom Bulls) (capt), Frans Malherbe (DHL Stormers), Eben Etzebeth (DHL Stormers), Lood de Jager (Toyota Cheetahs), Francois Louw (Bath), Siya Kolisi (DHL Stormers), Duane Vermeulen (Toulon). Replacements: Bongi Mbonambi (DHL Stormers), Trevor Nyakane (Vodacom Bulls), Julian Redelinghuys (Emirates Lions), Pieter-Steph du Toit (DHL Stormers), Warren Whiteley (Emirates Lions), Rudy Paige (Vodacom Bulls), Elton Jantjies (Emirates Lions), Jesse Kriel (Vodacom Bulls). IRELAND: Jared Payne (Ulster); Andrew Trimble (Ballymena/Ulster), Robbie Henshaw (Buccaneers/Connacht), Luke Marshall (Ballymena/Ulster), Keith Earls (Young Munster/Munster); Paddy Jackson (Dungannon/Ulster), Conor Murray (Garryowen/Munster); Jack McGrath (St. Mary’s College/Leinster), Rory Best (Banbridge/Ulster) (capt), Mike Ross (Clontarf/Leinster), Iain Henderson (Ballynahinch/Ulster), Devin Toner (Lansdowne/Leinster), CJ Stander (Munster), Jordi Murphy (Lansdowne/Leinster), Jamie Heaslip (Dublin University/Leinster). Replacements: Sean Cronin (St. Mary’s College/Leinster), Finlay Bealham (Corintians/Connacht), Tadhg Furlong (Clontarf/Leinster), Ultan Dillane (Corinthians/Connacht), Rhys Ruddock (St. Mary’s College/Leinster), Kieran Marmion (Corinthians/Connacht), Ian Madigan (Blackrock College/Leinster), Craig Gilroy (Bangor/Ulster).